﻿ GR11. Stage 23: Conangles - La Restanca. 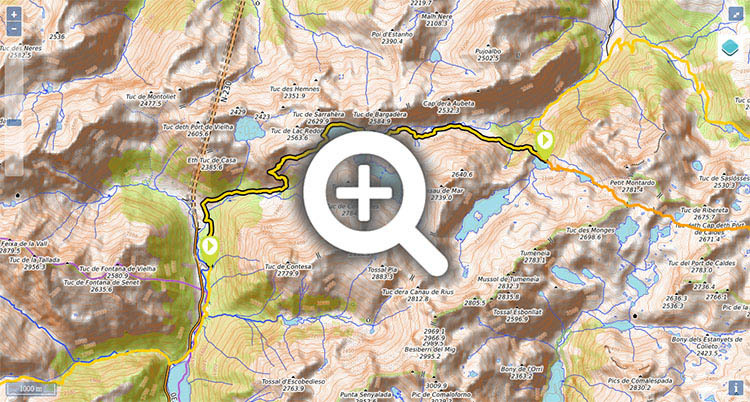 Difficulty: a short stage without excessive elevation, mostly along paths. Waymarking is good throughout the stage, apart from the last part of the climb to La Restanca. Water: throughout the stage there are a number of streams and lakes where you can fill up with water. 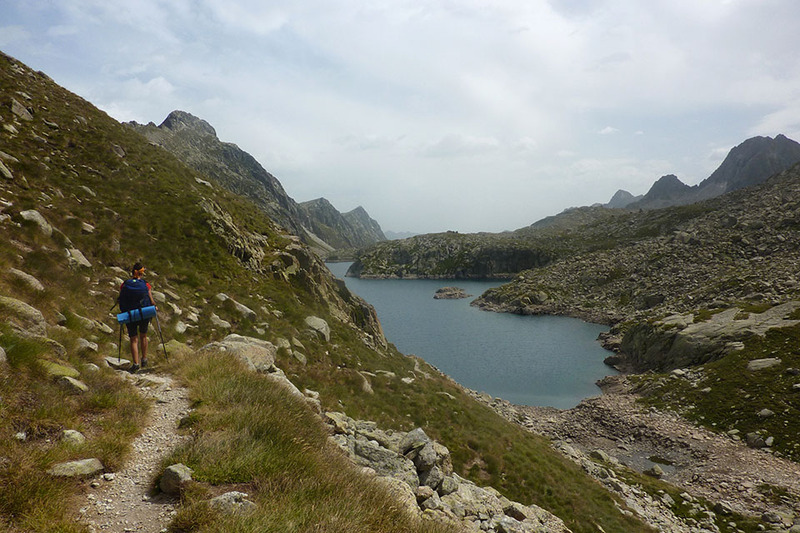 Suggestions: A magnificent alternative, adding a little more than an hour to the stage, is to follow the ARP passing Estany Tort de Rius and Estany de Mar, to rejoin the main route at the end of the stage at La Restanca. (2h15min; 5.3kms) Port de Rius (2.355m). 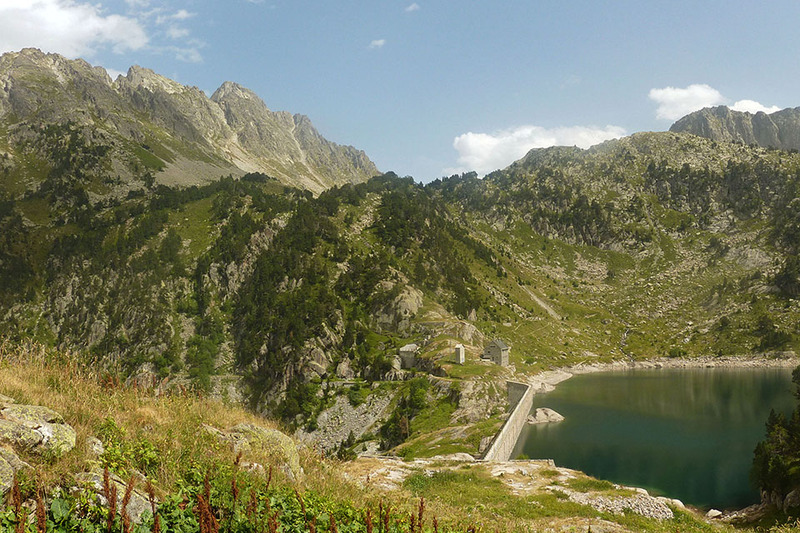 Keep walking towards Rius lake – at the head of Rius valley – and walk round the left-hand side of it to the point where it runs off. At this point the ARP (possible variant) peels off from the GR11. 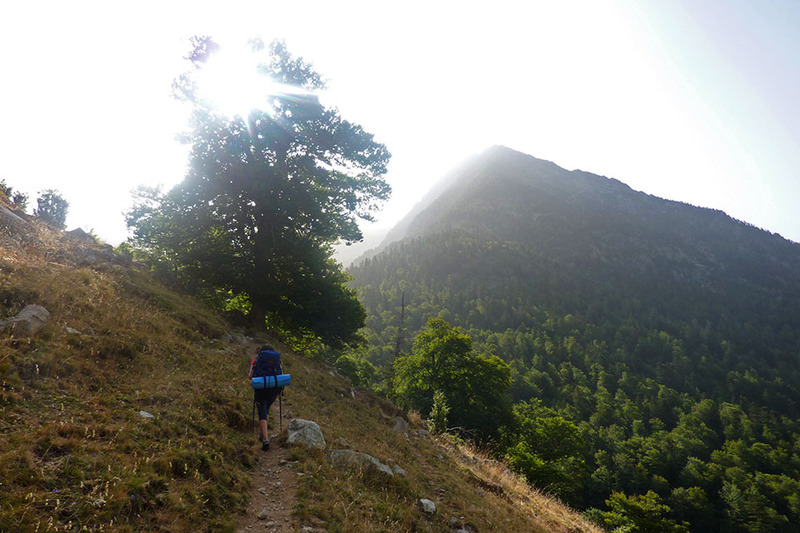 Keep walking down Rius valley, passing a spring (5') where you can get water (in early August it wasn’t dry) and continue until just before Plan de Rius (small lake), with the first trees up ahead. 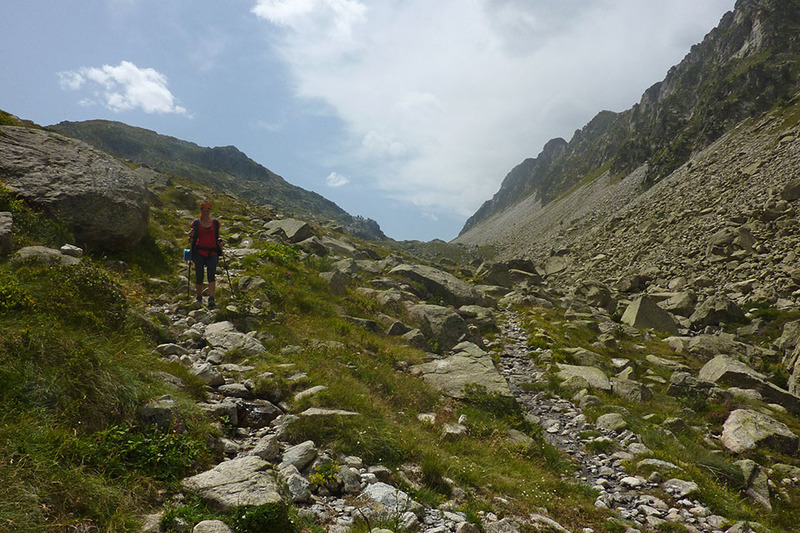 At around 1,960m altitude leave the path that heads into the bottom of the valley (GR211- Val d'Aran circular route) and keep right, along a path that runs half-way up. 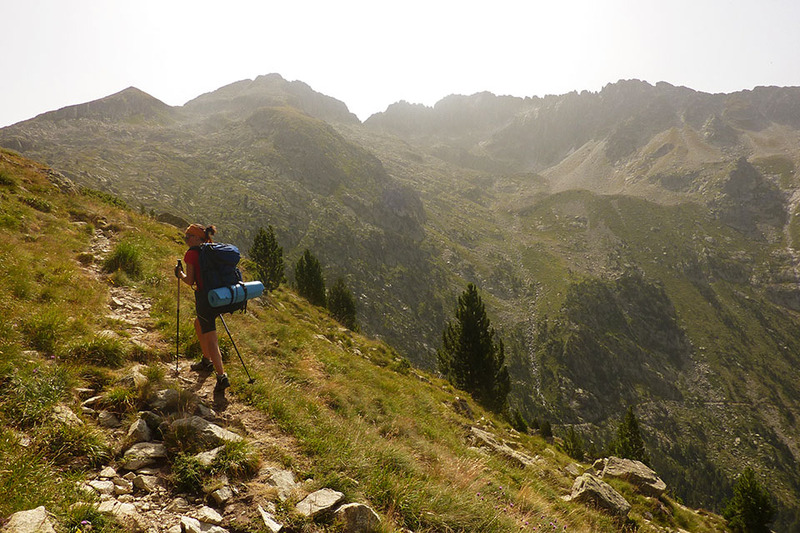 The main GR11 route heads down towards Rius cabin and crosses Rius valley as far as Plan de Nera, where the next day it rejoins in Colomers across Port de Ribereta. 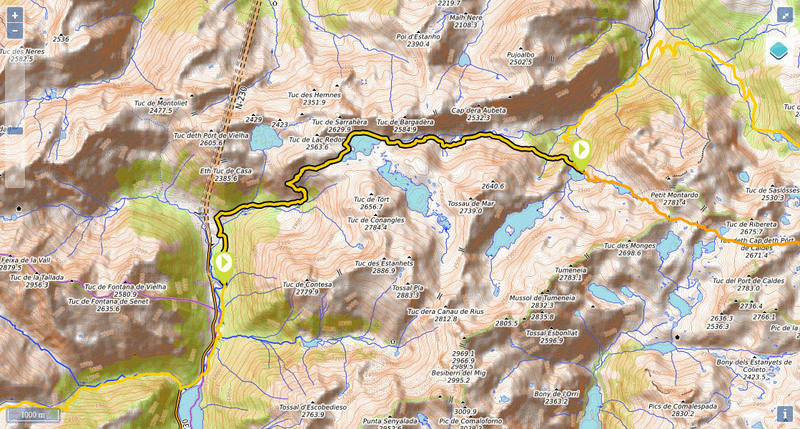 The route we describe via La Restanca refuge and stage 23, is the variant GR11.18 which in our view is more interesting that the main route. The path now heads into the forest, where it becomes a bit unclear, then climbs up to a kind of shoulder, from which point you can make out the dam and the refuge. 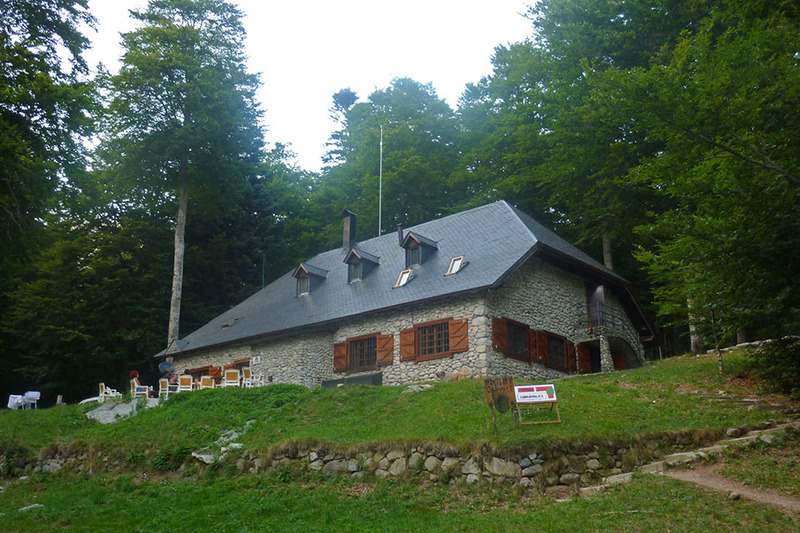 (4h45min; 12kms) Refugi dera Restanca (2.010m). 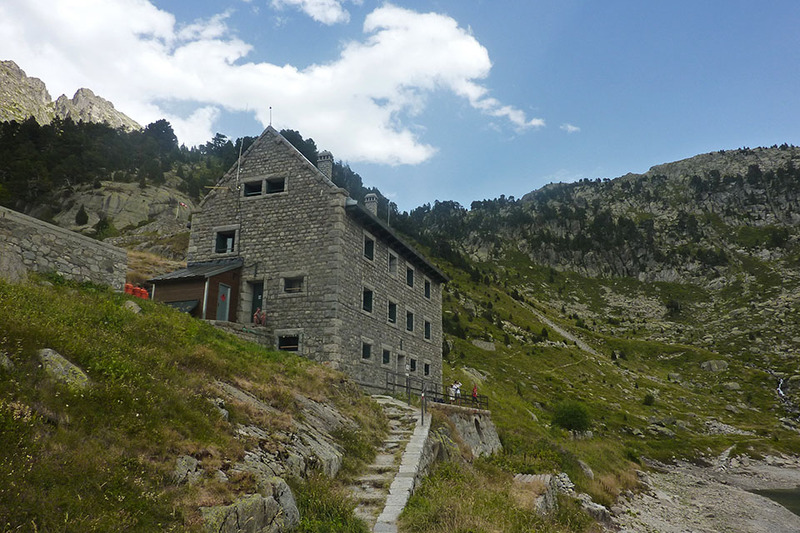 At the beginning of the stage, Refugi de Conangles (/). 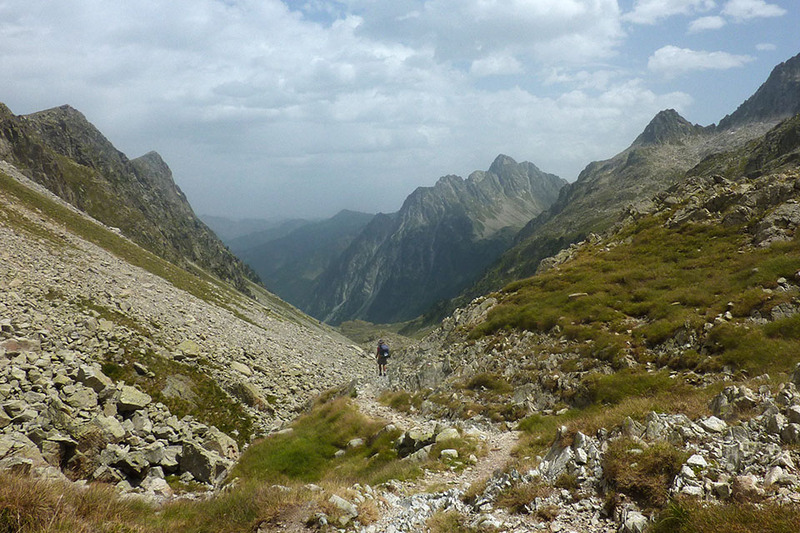 At the end of the stage, Refugi dera Restanca (/). Several buses stop at the Conangles car park every day. The Aigües Tortes Park bus Tortes Alsa is in service throughout the summer and is ideal for treks across the park. It completes an almost circular route of the Park with 2 daily services in one direction and 2 in the other. The bus coming from Barcelona or Lleida also stops at the car park (several per day), and this service is managed by Alsa. 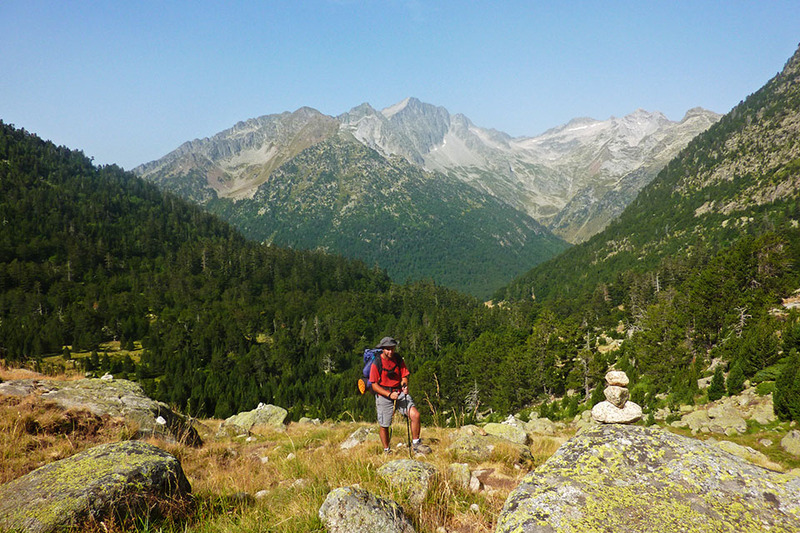 In Aigües Tortes a hugely popular walk is the Carros de Foc traverse (a circular route that links all 9 of the National Park’s refuges). 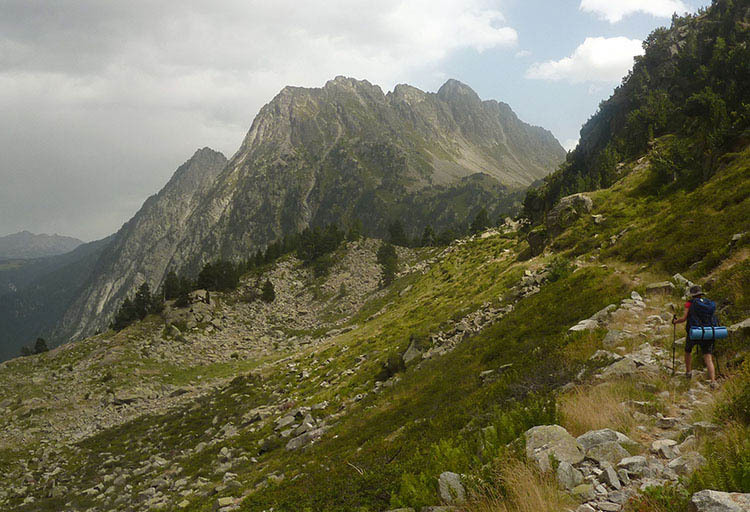 In Val d'Aran the Setau Sagèth circular walk is also very well-known.